Every month we host a contest for artists who sell and display work through our online Art Gallery. Winners are selected by customer votes on Facebook and receive a cash award and promotion. October's winner is photographer Jennifer Gunderson. The winning photograph, “A Magnificent Morning,” demonstrates Gunderson’s efforts to create strong emotion through her work. 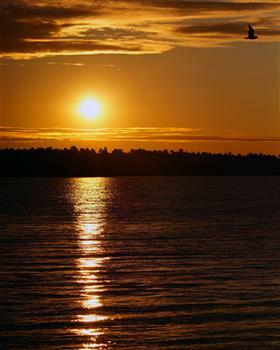 Taken over Lake Huron, this sunrise shot evokes the feeling of a new beginning, and the peace and hope that comes with fresh starts. Equally at home in a metal or wood frame, this image would take on a modern feel in a clean-lined, metallic-finish frame such as those in American Frame’s Neo-Florentine collection. A frame from the Gibraltar collection would create a traditional flavor. For a particularly warm, nature-inspired treatment, a frame from the Arts & Crafts or American Hardwoods collections would be ideal. 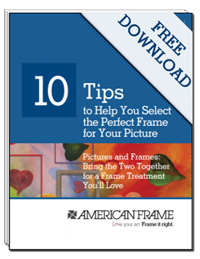 To contact Gunderson or follow her work, visit her American Frame gallery or her website. I can see why she won! That picture is beautiful!